Under construction 2 car garage duplex with impact windows & doors. The trifecta of sw florida living! Enjoy an upscale, like new condo with great views on a gulf access lake with deeded boat dock out your back door! You can have it all! This is a convenient ground floor 3 bedroom 2 bath condo that enjoys wide water views on your oversized large lanai steps from the water. Watch dolphins, fish, birds & turtles right here. Many upgrades: 8 sliders/doors, accordion hurricane shutters, new carpet, new paint, sprinkler system, french doors, security system, insulated garage door, volume ceilings & more. Great room style floorplan, master suite with walk-in closet, twin sinks, soaker tub & separate shower. Gorgeous, spacious kitchen with raised panel wood cabinets with crown molding, granite counters & a $3,500 new appliance package allowance with acceptable offer. Plus your own private 2-car attached garage. Blue water is a luxury gated community minutes from the famous fishing waters of pine island sound & redfish pass. This gulf access community offers clubhouse w/fitness, heated pool/spa, basic cable, water/sewer, all exterior maintenance & low hoa dues. Convenient to airport, shopping, dining, golf, swfl beaches, boating & more. This is it. This gorgeous gulf access waterfront condo is being sold as a complete package - beautifully furnished condo , deeded dock, boat lift, and the boat! (see attachment w/boat details). 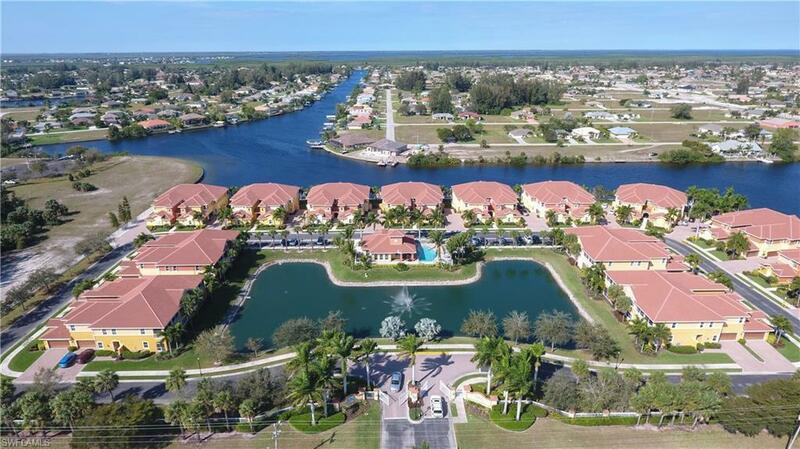 Blue water coach homes is a beautiful gated waterfront community in sw cape coral. Enjoy fast access to open water w/only one bridge. The many upgrades include granite counter tops and hardwood cabinets in the kitchen and bathrooms, crown molding, high quality hardwood flooring in living area & bedrooms, and architectural features throughout. 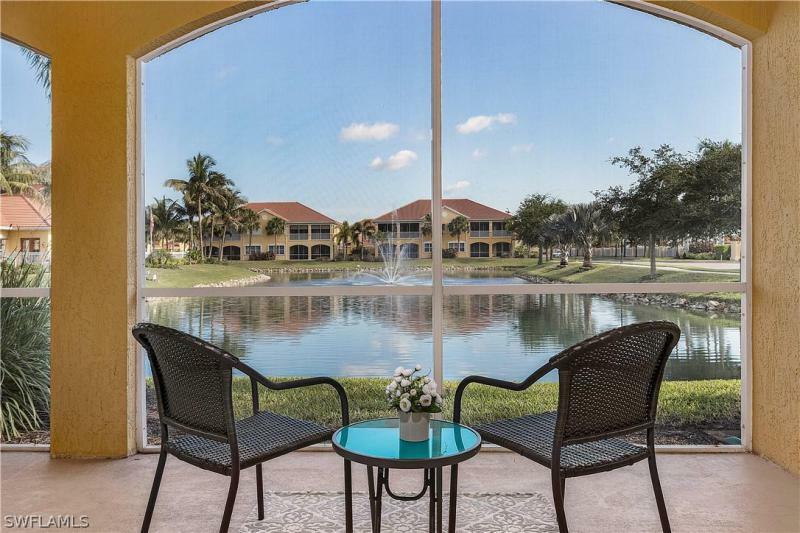 Relax on the large lanai overlooking the lake with expansive water views. All this and your own two car attached gargage!!! There is an undetermined amount of defective drywall in the unit, and the hoa is holding funds ($9,793. 70. ) for the buyer towards remediation; other funds may also be available. Please see the attached estimate for full remediation of the unit. Check out the virtual tour, then come see this beautiful ground floor 3 bedroom 2 bath waterfront condo! 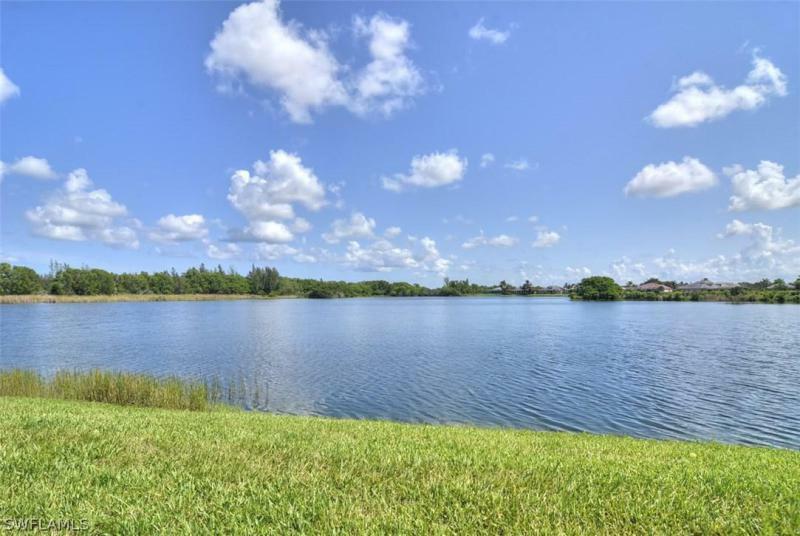 Enjoy relaxing views of the community lake w/fountain from your large screened lanai. The unit offers crown molding, 8' sliders and doors, 9' ceilings, new stainless steel kitchen appliances, hardwood cabinets & granite counter-tops in both kitchen & baths, walk-in closet in master, and a master suite bath with soaking tub, separate glass enclosed shower and his & her sinks. It also has it's own 2 car attached garage! Developer's floor plan shows 1,646 sq ft living area. 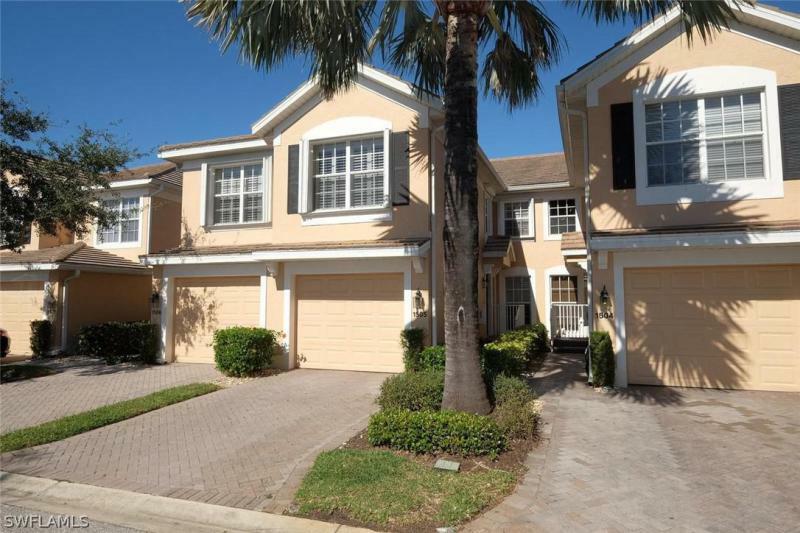 The gated gulf access blue water coach home community has gorgeous landscaping, a board walk w/36 deeded boat docks (no dock with this unit), and a beautiful clubhouse w/heated pool & spa. You'll also love the community tiki hut area on the water. Enjoy the good life. Don't worry about mowing grass or doing exterior maintenance. Just enjoy the views and relax! Sandoval condo on the big lake overlooking the park!!!! Watch the bird life and turtles in calypso lake as you enjoy your coffee or adult beverages!. Close to the condo pool or enjoy the big resort style pool that sandoval offers. This condo is like new. The owner has freshly painted it, installed new carpet, installed a new air-conditioner, installed a new water heater, and new garage door opener. The tasteful furniture can be purchased separately. Sandoval offers the most amazing lifestyle with wonderful amenities that include cable, internet, fishing, tennis, biking, swimming, jogging, exercise facility, bocce ball, and volley ball. You can walk to restaurants and the fun farmer's market on tuesdays. Bring your most discriminating client, they will fall in love with this property and the lifestyle. Home warranty included with purchase!! 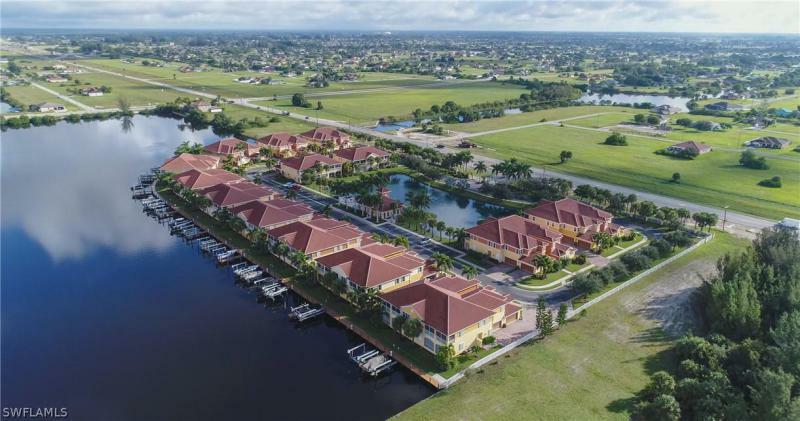 One of the largest condos in one of the most sought-after communities in all of cape coral - sandoval! 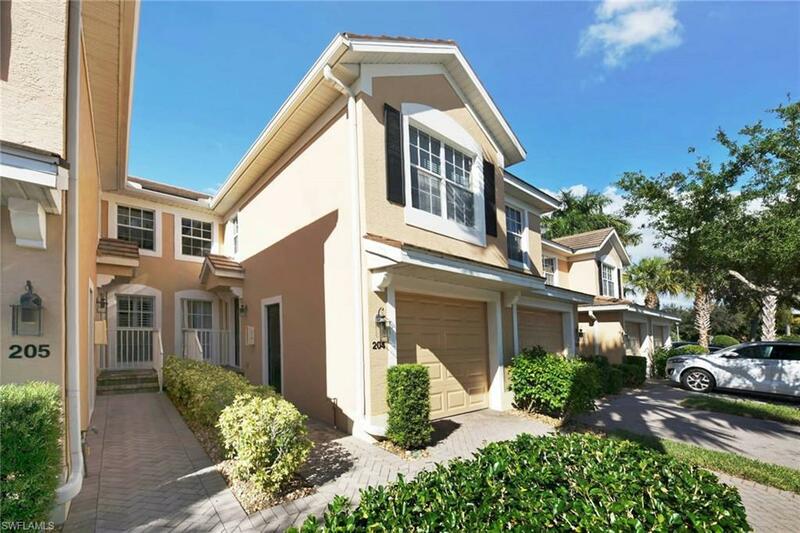 This 3 bedroom, 2 bath 1 car garage condo has been fully updated and has been meticulously maintained. It is a second floor unit with 1,857 sq ft under air, a 1 car garage and a fantastic screened-in waterfront lanai. The home comes with upgraded kitchen cabinets, granite countertops and stainless steel appliances. Tile floor throughout the main living areas and nice carpet in the bedrooms! Enjoy the wonderful views of the lake while relaxing in the huge great room, master bedroom, or screen in porch - all give you the wonderful view! Sandoval offers a little something for everyone - plenty of amenities such as resort style pool, tennis and basketball courts, fitness center, bocce ball courts, bike and jog paths, and activities happening daily! 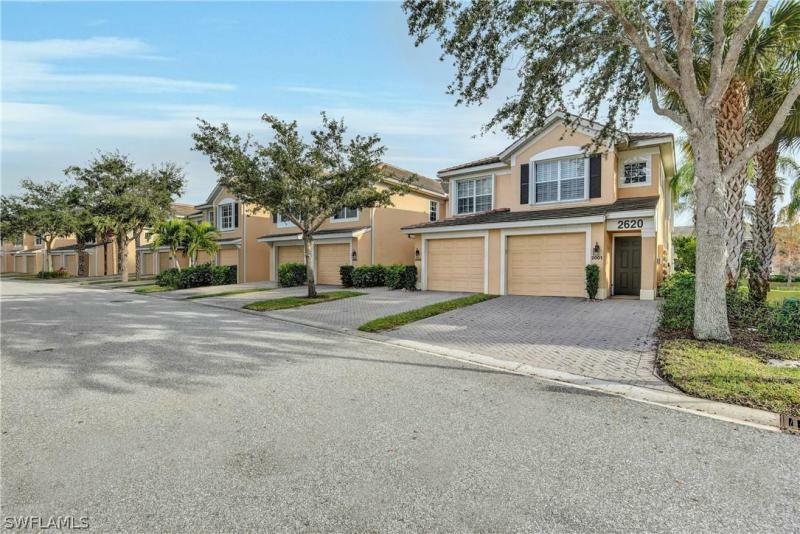 Located in the heart of sw cape coral, sandoval is a wonderful gated community offered at a great price. This is florida living at it's finest!